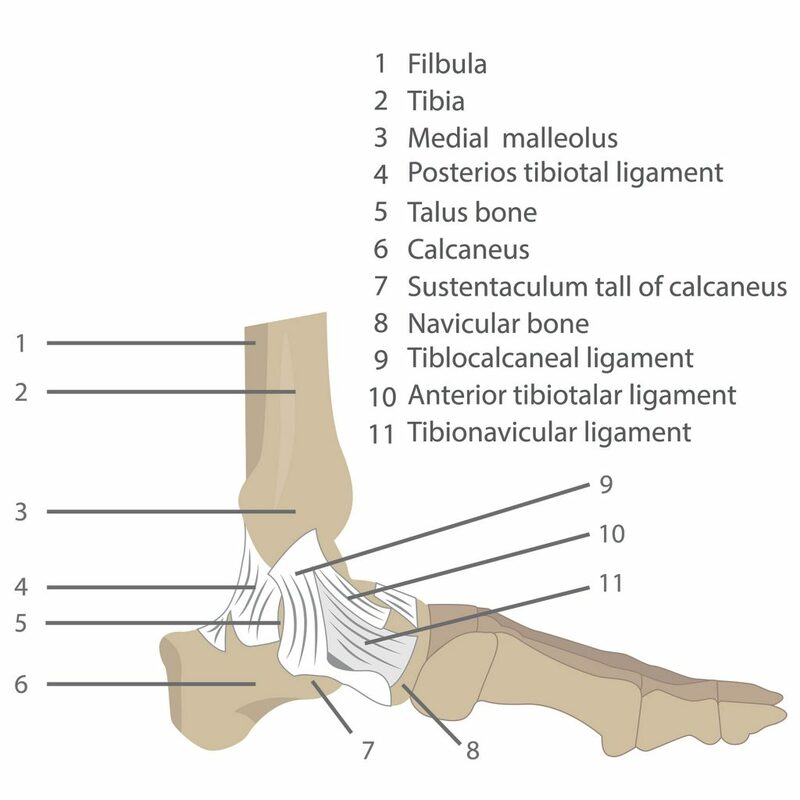 The ankle joint is comprised of three bones, called the tibia, fibula and talus. These three bones are held together by ligaments, which are like thick rubber bands. The ligaments provide stability to the joint during movement. An ankle sprain occurs when a ligament becomes overstretched or torn, which typically happens when the ankle gets twisted from walking on an uneven surface or while playing sports. The majority of ankle sprains occur on the outside joint of the ankle, but they can also occur on the inside as well. An individualized exercise program including muscle strengthening, balance and stability exercises. If you are returning to a sport or specific activity, you will be progressed to more functional exercises as you heal, to help prepare for your return. Education to help prevent future ankle sprains. An ankle brace may be recommended. Modalities such as acupuncture, TENS, ultrasound, heat or ice to help reduce symptoms and promote healing. Type I Ankle Sprain: Occurs when the ligaments have been stretched or only slightly torn. This is the least severe type of ankle sprain. Type II Ankle Sprain: Occurs when there is significant tearing, but not a complete tear of all the ligaments in the ankle joint. Type III Ankle Sprain: Occurs when the ligaments are completely torn. For this type of ankle sprain, there will be significant instability in the ankle joint. The symptoms of ankle sprains vary depending on the severity of the injury, and can vary amongst individuals. Common symptoms of ankle sprains include swelling and bruising. Individuals with ankle sprains may find their ankle to be sore to touch, they may have difficulty walking due to pain and have a feeling of instability.